This morning I watched The Barretts Of Wimpole Street with Norma Shearer and Charles Laughton (it was a Sunday so please let me off), it was made in 1934 and was badly censored compared with the original play (there were lots of implied incestuous undertones between the father, played by Laughton, in the film, and his daughters). Charles Laughton famously commented about the censorship of the film by saying – ‘They can’t censor the gleam in my eye’. One of the Barretts was of course the famous English poet Elizabeth Barrett – ‘How do I love thee, let me count the ways…’ – and she and her family lived at 50 Wimpole Street in the mid-19th Century. It was at this address that Robert Browning came to see the bed-ridden Elizabeth and soon eloped with her to Italy to escape her domineering father. Just over a hundred years later, in 1963, Paul McCartney, now rapidly becoming, along with the rest of The Beatles, a world superstar, moved into the attic rooms of 57 Wimpole Street which would have been almost exactly opposite the Barretts residence. It was actually the family home of his 18 year old girlfriend Jane Asher and was where he stayed for almost three years. While living here Paul, with John Lennon, wrote many of the Beatles’ most famous songs including their first American number one I Want To Hold Your Hand which was written in the basement and actually Jane’s mother’s music room. Yesterday was also apparently written there on the family piano. Paul also wrote a few songs for Jane’s brother’s band Peter And Gordon including their only big hit World Without Love. 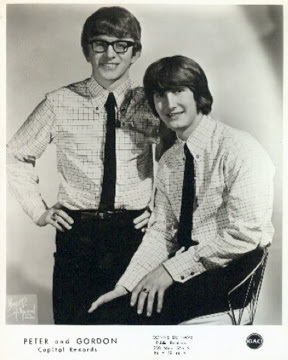 The term didn’t exist in those days, but if it did, Peter And Gordon would undoubtedly be at the vanguard of Nerd Core. I love the fact that when Paul moved into Wimpole Street (which surely would have been a bit forward-thinking by Jane’s parents however arty and upper middle-class they were) Jane still had her name on her bedroom door, as you’d expect from the teenager she was. 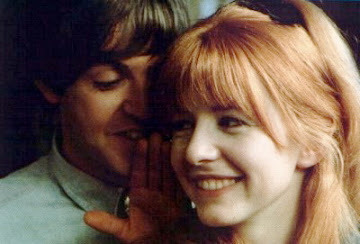 Paul eventually split from Jane in 1968 when she came back from a trip to America to find him in bed with another woman. Not long after this they announced the end of their engagement and he soon started seeing the photographer Linda Eastman who would eventually become his wife, and within a year it was the end of The Beatles. 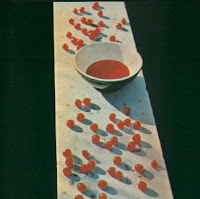 My favourite post-Beatle song by Paul McCartney is Maybe I’m Amazed which came from the relatively critically-savaged first solo album released by any of the Beatles. To be fair it hasn’t dated nearly as much as a lot of music at the time and Maybe I’m Amazed, I feel, stands up to anything he has written. And obviously that is saying quite a lot. I’ve always wondered why artists only have an inspirational peak for relatively a short time. 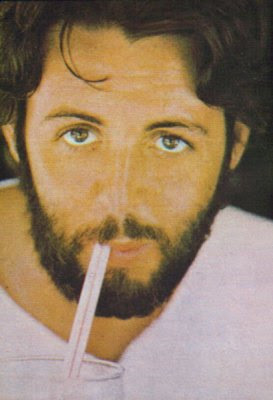 For instance in the sixties and early seventies Paul seemed to be able to knock out ten hummable tunes before breakfast every day. However now he seems not to have a clue. I wonder if the songs sound as good in his head as they used to. I doubt it. This entry was posted on Sunday, September 2nd, 2007 at 7:38 pm	and is filed under Marylebone. You can follow any responses to this entry through the RSS 2.0 feed. You can leave a response, or trackback from your own site. I grew up with The Beatles and read a lot of biographies etc of the fabs in recent years, including the Barry Miles book “Many years from now”. Imagine my delight when I realised that the room I now rent for my work is in the old Asher family residence at 57 Wimpole St now known as The Joshi Clinic! I had no idea until I met a fan lurking about outside the door last wek and I’ve been there 4 months! My room is on the 3rd floor – either Jane or Claire’s old bedroom! It made my day. I am given to understand that Mrs Asher wasn’t just a common or garden music teacher but a Prof. at the Royal Academy of Music at the top of the road. Not only that, she also taught Beatles producer George Martin the Oboe!